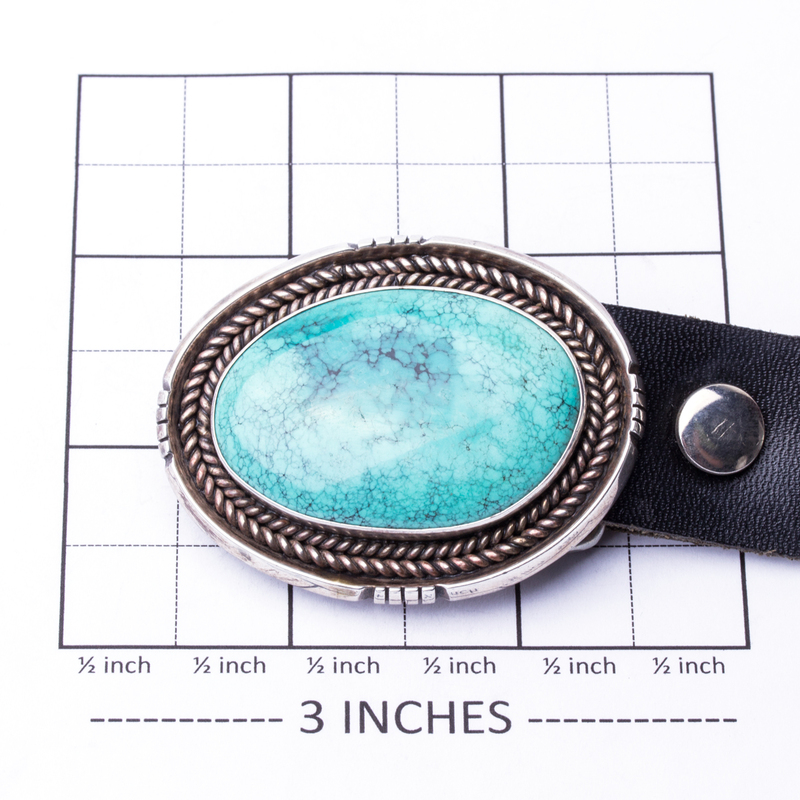 This Navajo Native American made concho belt has the most beautiful sea foam Turquoise cabochons filled with dark matrix. Each concho is wrapped in two rows of Sterling Silver wire. There are ten conchos in total including the belt buckle. 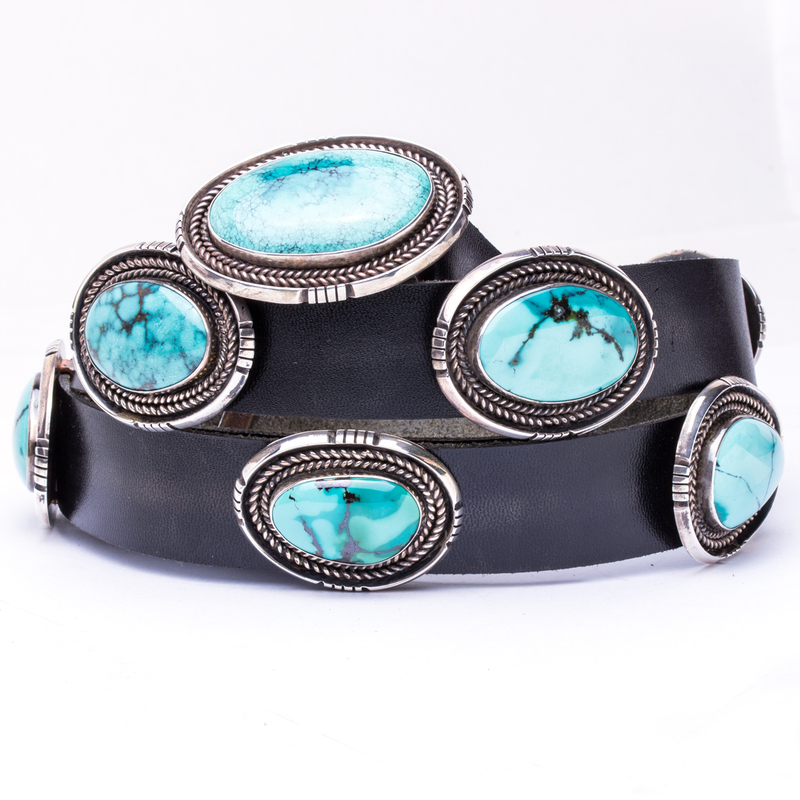 Complete any Southwestern outfit with this magnificent Sterling Silver and Turquoise concho belt. Conchos will fit a 1″ belt. 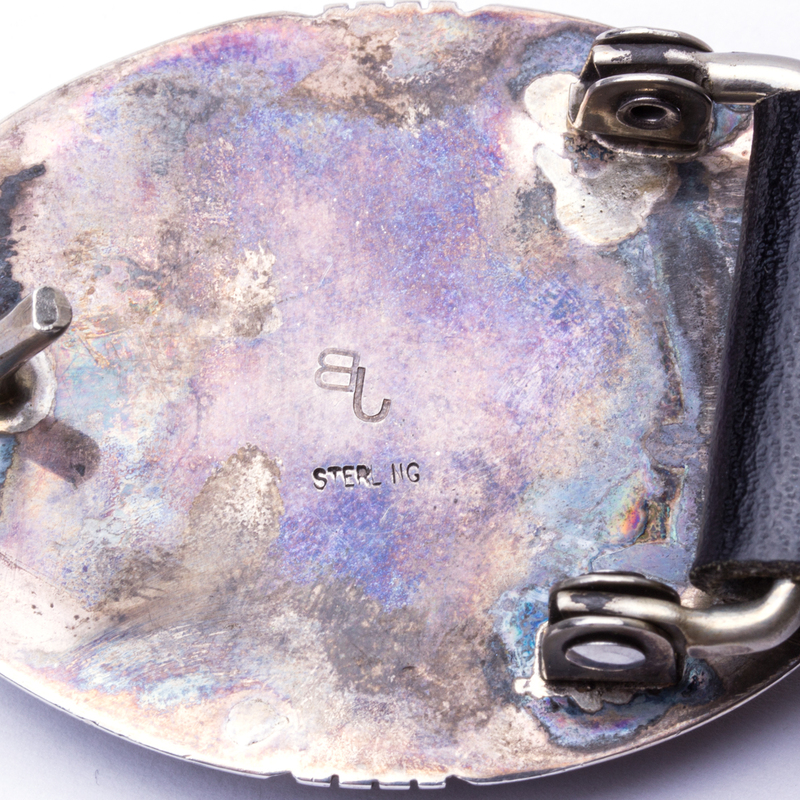 This concho belt is hallmarked “JB” and “Sterling”. Navajo BJ Turquoise Concho Belt has magnificent Native American Sterling Silver work surrounding the most beautiful Turquoise stones you can stare at for hours.